As we all known, YouTube is widely recognized as one of the most popular online video sharing website. Sometimes you just have downloaded some videos from YouTube and want to import them to the editing program like Final Cut Pro. Unfortunately, the YouTube videos are failed to be imported to Final Cut Pro. In this case, you may need to find an effective way to accomplish the task. Then it is necessary for you to read the instruction on how to convert YouTube Videos to Final Cut Pro compatible format effectively. Part 4. 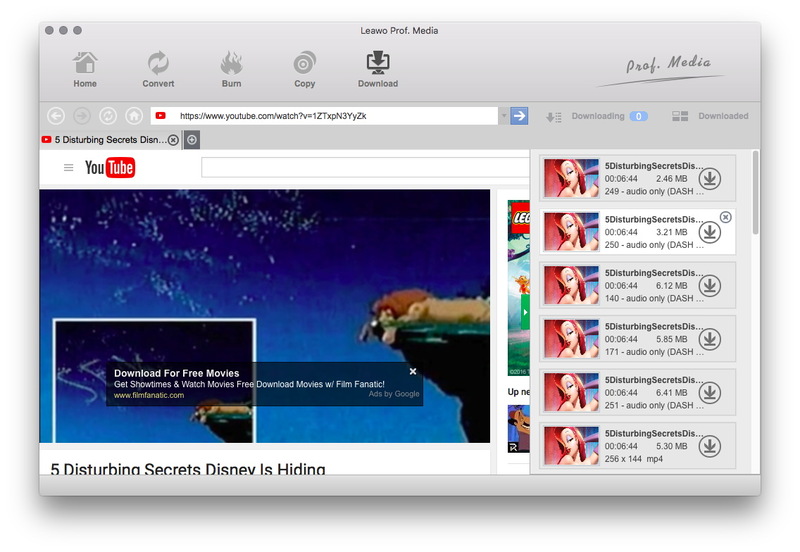 Extension: How to download YouTube video on Mac with ease? A better definition of Final Cut Pro could be such one series of professional non-linear video editing software first developed by Macromedia Inc. and later Apple Inc. The first generation of Final Cut Pro was launched in 1999. The latest edition for Final Cut Pro could include all of the necessary functions of post-production like importing and organizing media, editing, adding a special effect, and improving the sound effect, graduated colors and many more. Apart from that, Final Cut Pro could also allow you to log and transfer video onto a hard drive (internal or external), where it could be easily edited, processed, and output to many different kinds of video/audio file formats. When it comes to its supported formats, Final Cut Pro generally supports QuickTime-compatible video formats like MOV, MP4 and so on. At some point, you just have downloaded some favorite videos from YouTube website, and you’re very eager to import them to Final Cut Pro editing software. Yet Final Cut Pro don’t support the playback of YouTube video files directly. Then you may need to first convert YouTube Videos to Final Cut Pro compatible format smoothly. Here we would like to recommend strongly the third-party software like YouTube to Final Cut Pro Converter. Leawo Video Converter for Mac rank the first among similar products, which should be better than others technologically and qualitatively. 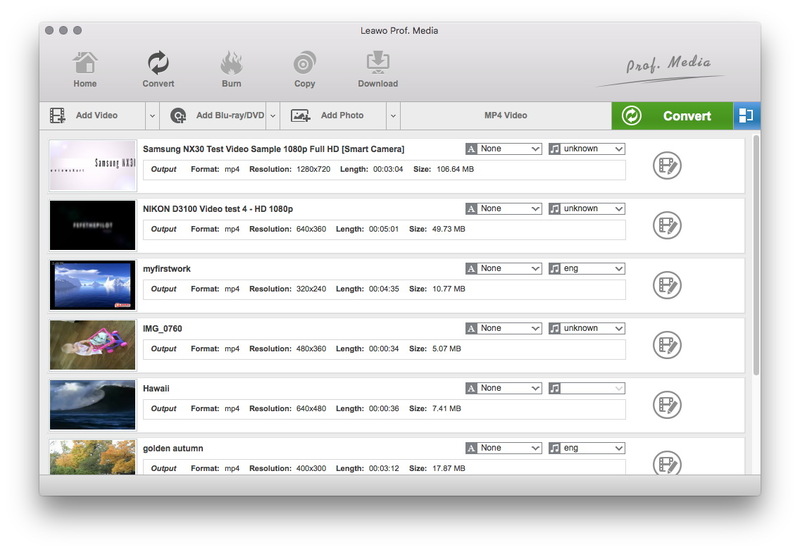 As an excellent YouTube to Final Cut Pro Converter for Mac, Leawo Video Converter for Mac could help you to convert YouTube to Final Cut Pro formats for further editing with the easy-to-use interface. 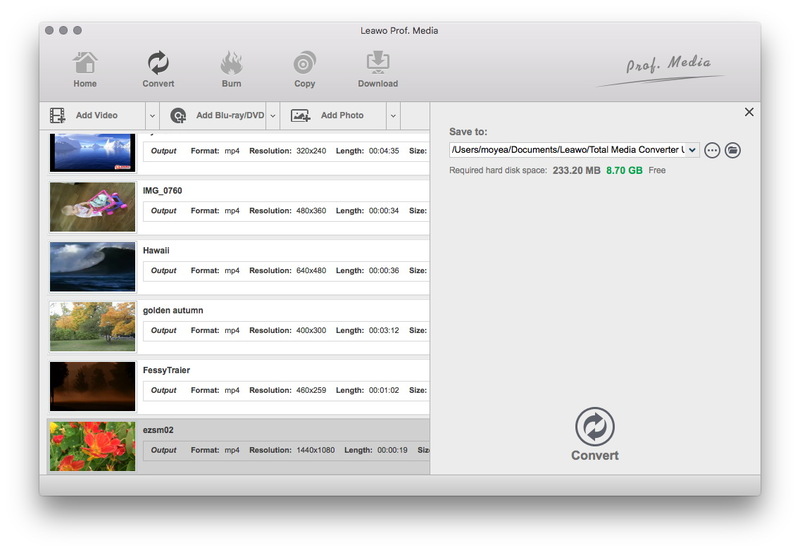 The first thing that you may need to do is to download Leawo Video Converter for Mac free trial and launch YouTube to Final Cut Pro Converter for Mac freely. And you could follow the instruction below for reference. Since that you’ve opened the program easily, then you could view its interface clearly. Just move your mouse to the “Convert” tab at the top of the toolbar. Next you may need to click the “Add Video” icon to choose YouTube source video/audio files into its interface, or even directly drag the objective video files into the software. The step is specially designed for you to choose your desired output profile. Here you could click the big green “Convert” button on the right side of the interface. Once the small window was activated, you might click the “Change” option to enter the “Profile” setting panel in order to choose MOV as the output format under the “Common Video” under the “Format” tab. Now you could click the arrow next to the “Profile Settings” icon and come back to the main interface. Just click the green “Convert” icon again to pop up the output setting window. You could choose the output destination in the “Save to” box. Once all of the necessary settings are completed, you may need to click the “Convert” button at the bottom of the setting panel. The whole conversion process from YouTube to Final Cut Pro would only take several minutes. Here we would also love to share you with the guide on how to download YouTube video on Mac easily with the help of Leawo Video Downloader for Mac. Leawo Video Downloader for Mac is powerful enough to provides one-click solution for you to download YouTube videos, Facebook videos and various other online videos from video sharing sites. 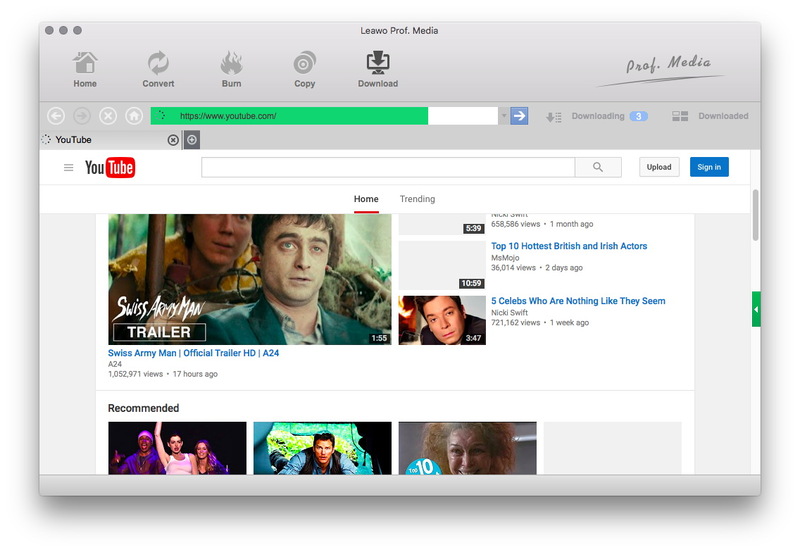 With the YouTube Downloader, you can download YouTube videos and other online videos on Mac, and then edit downloaded videos in iMovie or FCP easily. 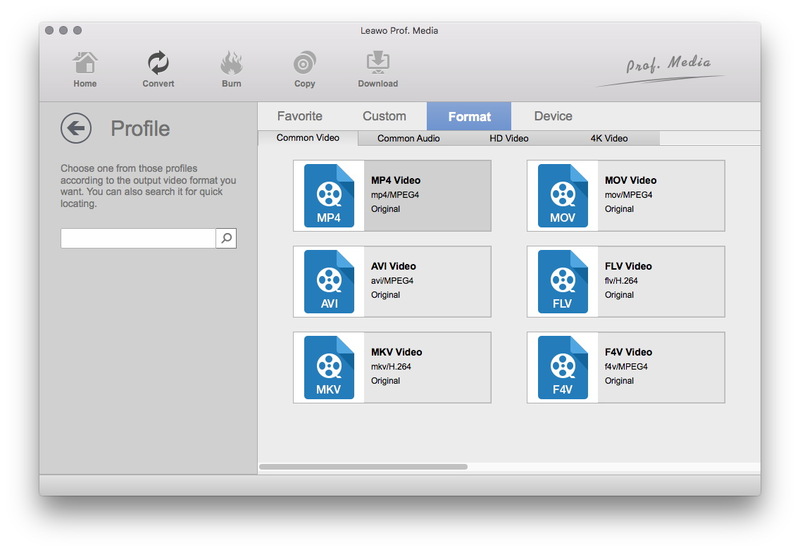 Here you can download and launch Leawo YouTube Downloader for Mac freely, and then follow the guide below step by step. Now you could view its easy-to-use interface clearly. And then you could copy and paste video URL in the address box. The video could be viewed automatically. Here you may need to click the “Download” button at the top toolbar to start downloading. Keep in mind that the selected video would be downloaded at once. The powerful software could also support editing function. After you’ve downloaded YouTube video files, you could view the downloaded videos under the “Downloaded” tab and customize them freely. By and large, Leawo Video Converter for Mac is the optimal selection for you to convert and import YouTube video to Final Cut Pro for further editing. YouTube to Final Cut Pro Converter for Mac could also support conversion between a wide varieties of video/audio formats. 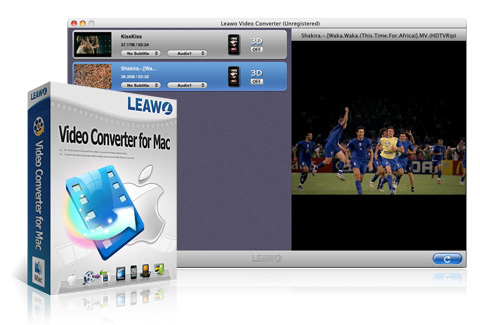 Leawo Video Converter for Mac could bring a bunch of surprises to you.